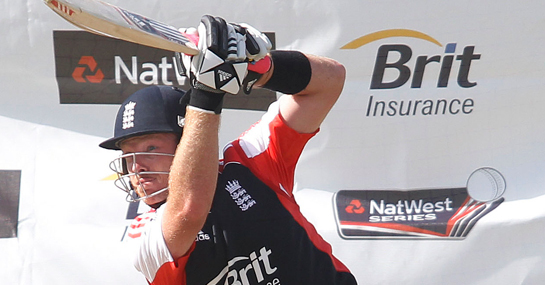 With both England and India without their headline batsmen for the remainder of the one-day series, there is a chance for others to shine and Ian Bell can prove a point to hand England victory at the Rose Bowl. After the first match of the five-fixture one-day series was abandoned because of bad weather, it is still honours even and India will believe that they can take the initiative after holding the advantage at Durham until the rain intervened. India’s cricket odds are 6/5 to win at the Rose Bowl instead, but it remains to be seen how they will cope without Sachin Tendulkar. A toe injury means that the legendary batsman will miss the remainder of the series and becomes the eighth Indian to have been sent home early on the tour because of injury. Manoj Tiwary has been called up instead and faces a race against time to arrive in Hampshire in time to feature for an Indian side who look short of batsman. England are also without their star batsman with Kevin Pietersen rested for the series, which gives Bell a chance to move up the batting order from five to four. Also with Craig Kieswetter unlikely to last long in his task to score quick runs, Bell could get the opportunity to bat through the majority of the innings. Bell scored a century on the last occasion that England faced India at the Rose Bowl and is 2/1 to register at least 50 again. England are 4/6 to beat India and Bell looks massive value at 11/2 to end the match as England’s top runscorer. For India, Suresh Raina may be relied upon for a hefty contribution and his ability to score quick runs could make him worth a punt to be India’s top runscorer at 6/1.